Decorating a rented home is never an easy task. Part of your budget goes to regular monthly rent payments and there are always a number of restrictions and boundaries set by the landlord. These guidelines will show you what you can do with little investment in a place that you will eventually have to vacate. As quick and convenient they may be, with a countless patterns and styles, wallpapers are very difficult to remove. That’s why most landlords will insist that no wallpapers are to be pasted on the walls at any cost. Luckily, you can bypass that rule by pasting all the wallpapers you want on plywood panels and leaning them against the wall. Another advantage of this concept, aside from being cheap and easy to make, is that you can replace the color scheme whenever you want or use the panels to create zones within the rooms. Your ceiling light and wall fixtures are probably going to stay where they are, but you still have many different styles and sizes of table and floor lamps, lanterns, candles, or pendant lights to choose from. Lighting can further be used to set the tone and give your rental a unique mood. Plus, you will be able to take these table and floor lamps with you when you move out. If you rent an apartment with nothing on the floor but ceramic tiles, laminate, or wood floor consider yourself lucky. Some renters get stuck with old carpet that is worn out and was laid at about the same time when Mrs. Reagan gave her orders for decorating the White House East Wing. Still, you can make a big difference by covering bad carpet with a nice area rug that you can fold and pack when your deposit is returned. Rugs can be combined with other movable décor items, like paintings to marvelous effects. In addition, an area rug laid at high traffic junctions will protect laminate or wood floorboards, protecting your deposit in return. Instead of stacking them into albums that you rarely ever open, you can make a thematic collections of photos on the wall. Trawl through thrift stores and flea markets for old mismatched frames and create clusters of similarly themed photos. For greater effect you can spray the frames in the same color to create a cohesive gallery wall. Unfortunately, if you live in a rented space investing in custom made cabinets is not an option. Rental homes are usually furnished to have a sort of medium-everything, to fit most tenants’ needs. In that sense they usually lack storage space. You can however use modular storage options like plastic crates, IKEA bookcases and simple easy-to-remove shelves. You don’t have to despair if your rental does not include a garden. Keeping a selection of intricate clay pots with your favorite houseplants will recreate a patch of greenery in your living room. If you include a few trays with herbs, you will never run of these aromatic ingredients and the fragrance of crickets in a Sicilian night. 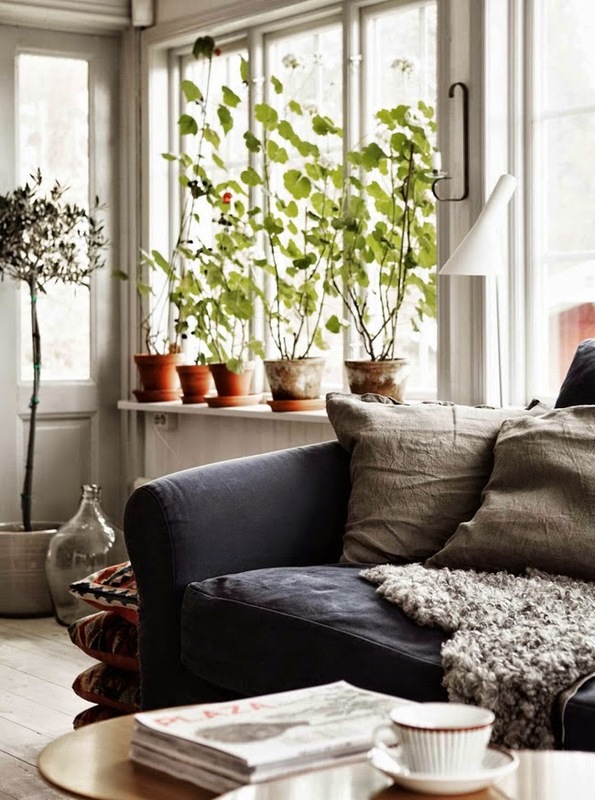 With little imagination and a bit of know-how you can turn your rented apartment into an oasis of harmony. The key is to use small movable and removable items that can go with you when the time comes to move on. Zoe Clark is a home decorator from the land down under. During her childhood she was constantly on the move, and that’s when she discovered her passion for interior design and home décor “to go”. She has a tender spot in her heart for everything Nordic.